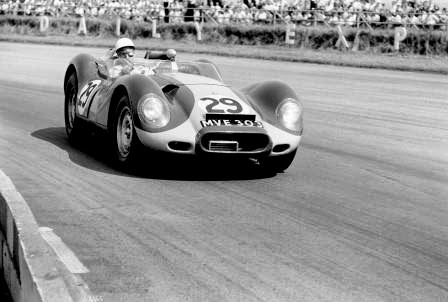 In an historic announcement today, Lister Cars, one the greatest names in British sports car manufacturing, has stated it will return to its Cambridge roots to once again reinstate production of an exciting new Lister car. 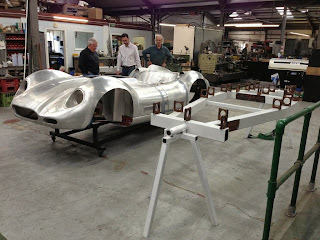 Brian Lister’s original working drawings and manufacturing jigs have all been re-commissioned, and many of the team involved in the original 1950’s project with Lister Cars have been called back into service, including Martin Murray, Colin (Chippy) Crisp, Graham (Curley) Hutton, Laurence Pearce and even Brian Lister himself. Heading up the manufacturing project is Mark Hallam, technical director at George Lister Engineering and Jerry Booen of D Type Developments will also be assisting with the project. The cars will be built to be identical to those of 1958, and will be race-ready 'out of the box' to race with BHL-C (C for Continuation) chassis insignia and up to FIA/HTP Appendix K specification. Last but not least, that fantastic streamlined Knobbly body will be re-created using the original Shapecraft body bucks by the immensely skilled artisan craftsmen, Clive Smart and Adrian Breeze.